A game full of embarrassing consequences. Beware - tell the truth about your dirty secrets and your friends will decide your fate and that could have much more unpleasant consequences. Perfect for Hen parties, the game includes 52 Playing cards, two rules cards and one die. I ordered these cards for a party coming up and had a quick look through them once they arrived. 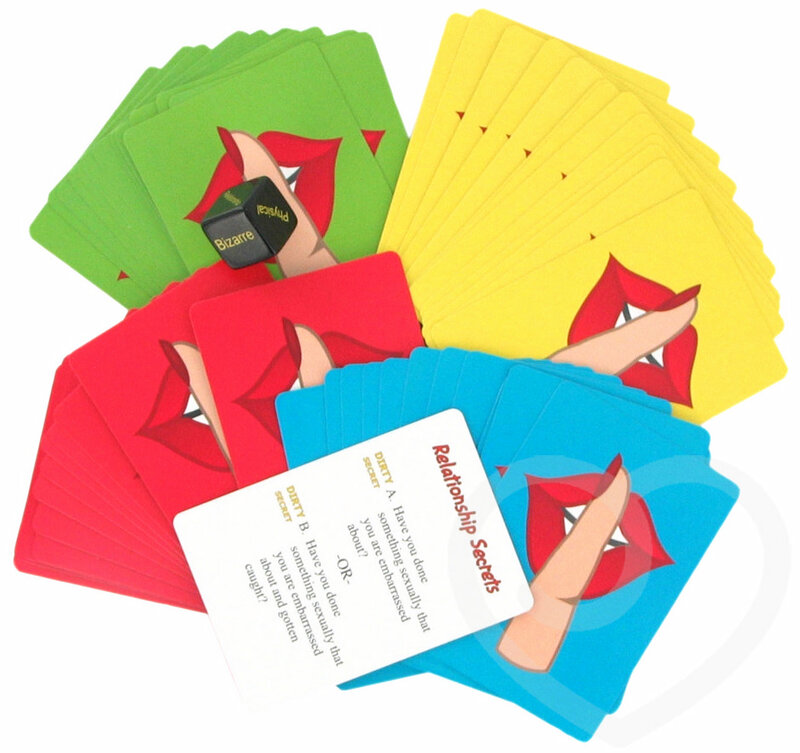 The rules are really simple and well written, and the colour coded cards do look great. This game can be used in a group or just a couple, and there are several consequences that could be made depending on who's playing. The flexibility of this was exactly what I was looking for, although maybe a few more suggestions other than to strip or do shots would be nice - maybe some dares, etc. The questions on the cards were what let this product down. They were pretty average - some quite boring, and some so abstract that not many people could answer yes to, defeating the purpose. Some were quite funny though, and will definitely provide a few laughs. Overall, it's an okay value for money product but I do think there could be other products of the same/similar nature which provide better questions. The flexibility of the game... can be used for drinking games or more intimate! The questions were quite disappointing. Okay value for money but not the best out of this type of game. We played this as a group at the hen party. It's not a bad game and is easily adaptable. It can become a drinking game or just a general questions-and-answers game. We did shots for whoever had the most cards at the end of the game, which worked quite well. Some of the questions could have been better – but it's not bad, considering the price.